One of the last coins to be minted at the San Francisco Mint before a 13 year stint of becoming a facility for coin storage, the 1954 S Jefferson Nickel was hoarded by many a collector. 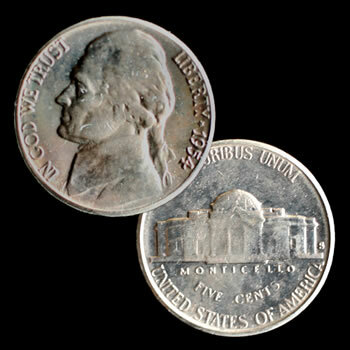 This uncirculated coin features Thomas Jefferson, one of the most notable signers of the Declaration of Independence. Quantities are limited at this special 4th of July Holiday price.